[Vancouver, BC]: Dish ‘n Dazzle, one of Vancouver’s most-anticipated wine, food and cocktail events, returns to the Vancouver Convention Centre (999 Canada Place) on Thursday, May 18. Tickets are onsale now for $89 per person, exclusively online. Wine: Each year, the BC Hospitality Foundation partners with a new wine country. 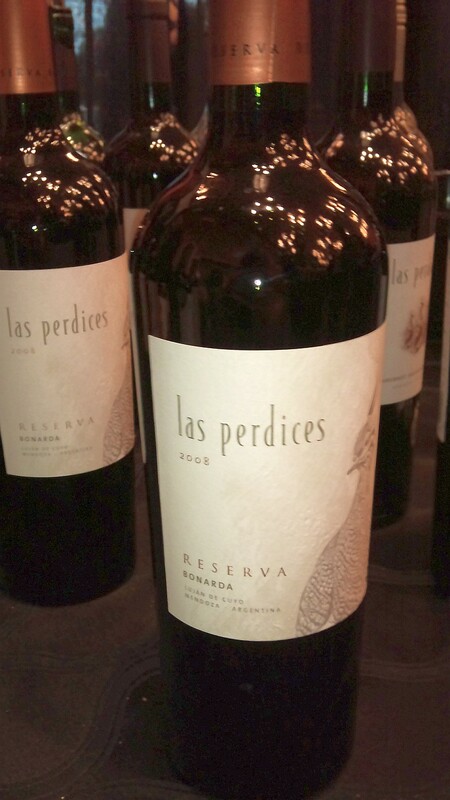 This edition features Wines of Chile. 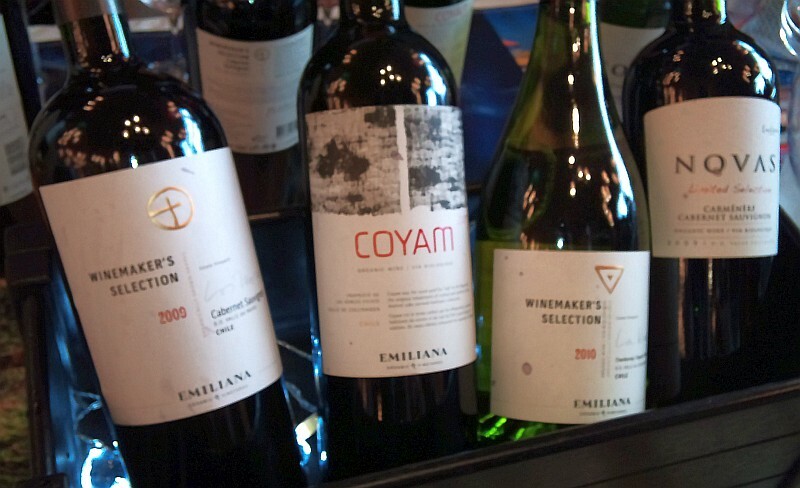 Up to fifteen wineries from Chile will share the latest vintages for wine lovers. New for this year will be an exclusive “Pequeña table”, offering a chance to experience limited production wines from Chile’s boutique wineries. Food: Up to fourteen of BC’s finest chefs and restaurants will be on hand to serve unique culinary creations, some of which were created just for Dish ‘n Dazzle. The complete list will be available soon at dishndazzle.com. Cocktails: The evening’s signature cocktail competition invites six of the city’s top bartenders to craft all-new libations with a Chilean theme. Each bartender is competing for the coveted Derek Vanderheide trophy, named in honour of a dearly departed Vancouver bartender. Music: The evening wouldn’t be complete without live music from celebrated Vancouver-based R&B and blues band Les Is More, who never fail to ignite the crowd. Silent Auction / Prizes: The curated Silent Auction and Grand Prize Raffle is always one of the highlights of the evening, featuring one-of-a-kind items including hotel stays, adventure packages, and much more. 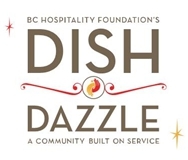 Fundraising: Dish ‘n Dazzle is the signature fundraiser for the BC Hospitality Foundation’s latest beneficiaries and scholarship winners. Funds raised from this event have helped support nearly 275 industry workers and students with more than $800,000 in financial assistance. Dish ‘n Dazzle sells out every year. Get your tickets today. Dish ‘n Dazzle returns! On Thursday, May 30 at the Pan Pacific Hotel (999 Canada Place), The BC Hospitality Foundation and Wines of Chile present a spectacular night of food, wine, and cocktails, that is sure to delight and entertain. 19 wineries from across Chile’s diverse wine regions will pair up with food from 12 of Vancouver’s best restaurants and a high-stakes cocktail competition will ensure things stay spirited! The cocktail competition event will feature custom cocktails created some by some of the finest mixologists in BC. Guests will have a chance to taste these new drinks and be on-hand as a winner is announced. A large silent auction and raffle will round out the evening. I’ve tasted the wines from most of these wineries, and visited several of them on my trip to Chile, and I can vouch for the quality of the wines you will taste. You should take a wide range of wines from Sauvignon Blanc, Chardonnay, Merlot, Cabernet, Pinot Noir, Syrah and more! Price $77.95 / person includes handling charge. I had a chance to drop by the New Westminster BCLDB Liquor store at the bottom of Royal Ave yesterday and saw a few wines on sale and other interesting wines. Here are a few quick snapshots from my camera on the wines. I think you should be able to pick them up at the same price at other BCLDB stores. Enjoy! 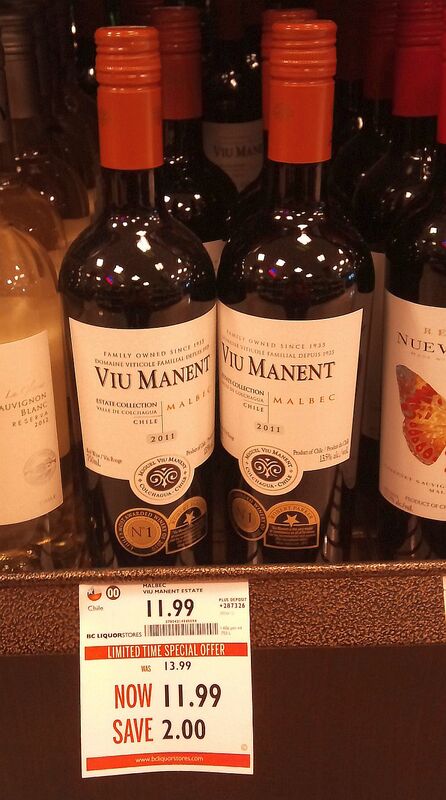 Viu Manent Malbec 2011 – An outrageously cheap price. 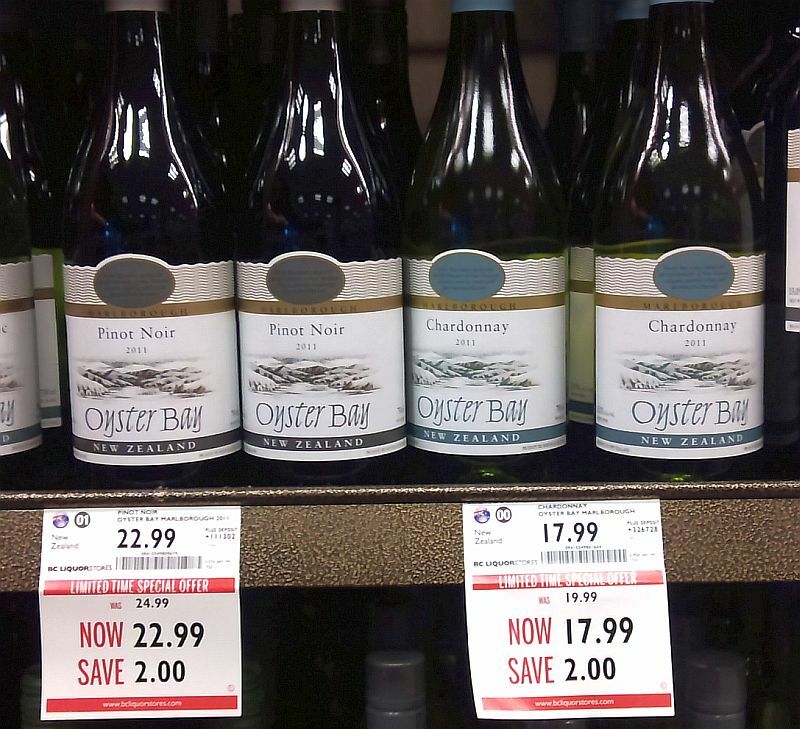 Oyster Bay Pinot Noir and Chardonnay. Always good quality from New Zealand. 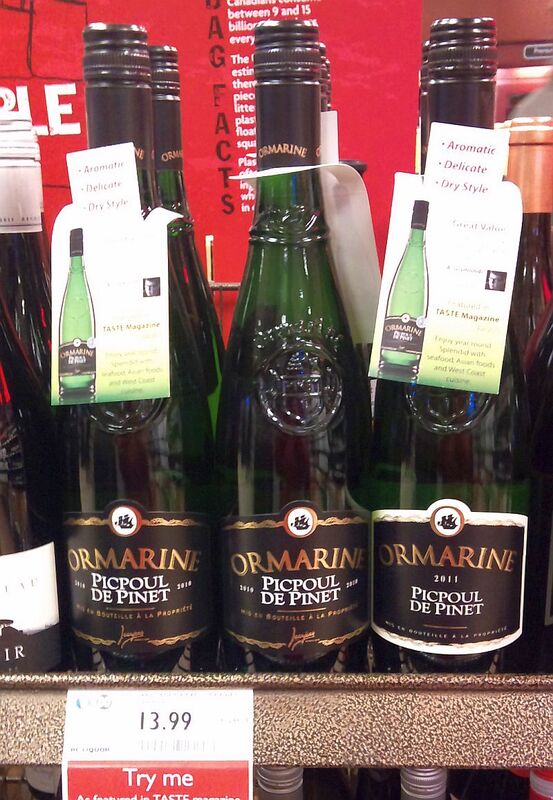 Picpoul de pinet – an interesting white grape from France. Exceptional price. 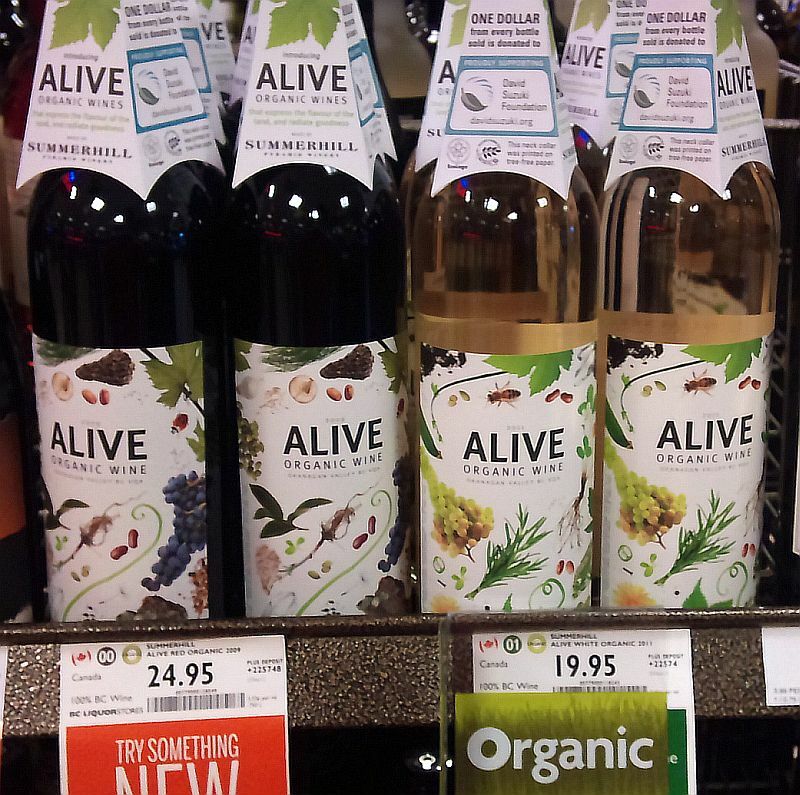 Alive Red and White. Two quality organic wines from Summerhill Winery. It’s very easy to get busy with work and family this time of the year. And Thanksgiving comes knocking on the door extra early in October for us Canadians this year. Some of you may be off to the Okanagan to enjoy their Fall Wine Festival. Pick up a few bottles from the great wineries there to help you celebrate October 8. 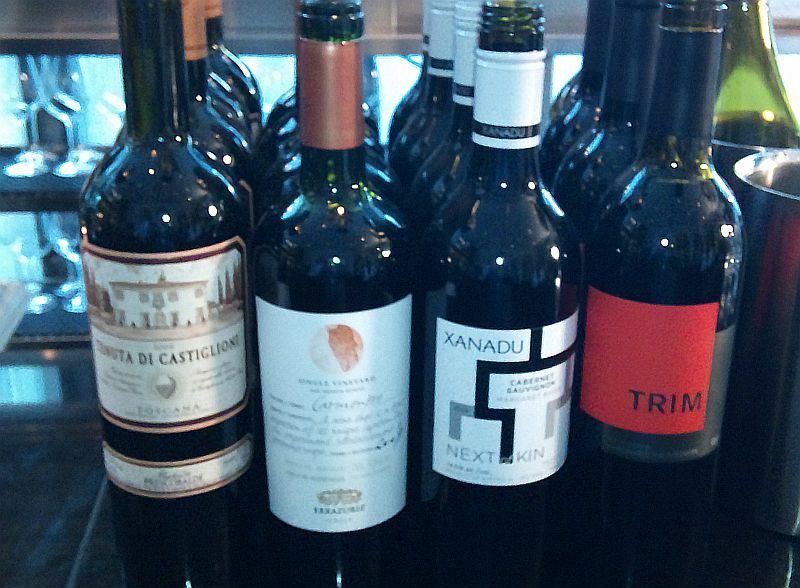 Let’s look at a few red and white wines that you may want to have with your roast turkey or ham this year. Fort Berens Estate Winery Chardonnay 2011 ($17.99). This plus 2 reds from Fort Berens made me sit up and take notice. Such quality from a new winery in a new BC wine region: Lillooet! Pale pear skin colour. Light vanilla and apple aromas. Light body with peach flavour and a hint of oak and cinnamon. A very elegant, integrated wine. Kalala Organic Estate Winery Dostana Chardonnay 2010 ($18.90). Medium lemon in colour with a nice apricot nose. Medium body with honey, oak and apricot flavour. Very tasty. Medium acidity with a hint of sweet spices. Stag’s Hollow Viognier 2010 ($21.99). Light orangy nose. Medium body, round mouthfeel with medium acidity. Citrus, peaches, vanilla and nutmeg on the palate. Trivento Tribu Viognier 2011, Argentina ($9.99. SPEC listing). This was a very surprising wine for sub $10. Light orange, peach and citrus nose. Medium minus body with flowers, orange, and spice on the tongue. Dry citrus finish. A nice wine. Burrowing Owl Estate Winery Merlot 2009 ($30). Light transparent garnet in the glass. Bright ripe cherry nose. Light body, dry with ripe cherries and vanilla flavours. Sweet cherry finish. Bench 1775 Winery Merlot 2011 ($19.90). This was my surprise red wine of the tasting as I had not had their wines before. I now want to try all their wines. The Merlot was opaque ruby in colour. Interesting nose of apples and plums. On the palate you get soft tannins, and flavours of yellow plum and red cherries. The yellow plum really stands out. Quite a different Merlot. Give it a try. Roast ham is also quite full flavoured. It has some sweetness to it, and can have other flavours such as some smokiness, depending on how it’s prepared. Riesling is a nice pairing with ham; think Alsatian food. I think a Cabernet Franc or Pinot Noir would also be nice with ham. Burrowing Owl Estate Winery Calliope Riesling 2011, BC ($14.99). Nice nose of citrus, apple and stone fruit. Dry with high acidity, but still has some roundness on the palate. Peach flavour with a slight herbal edge. Fort Berens Estate Winery Cabernet Franc 2010, BC ($24.99). Deep garnet in colour with light cedar and ripe cherry aromas. Dry, medium plus body with cedar, oak and ripe black fruit flavours. Ripe fruit and vanilla on the finish. This wine won a Double Gold Medal at the All Canadian Wine Championships. Pewsey Vale Riesling, 2011, Australia ($23.99 SPEC). Nice lime, lychee and flowers on the nose. Medium minus body, light acidity with lots of citrus and stone fruit flavours. Very tasty. King Estate Winery Estate Signature Pinot Noir 2010, OR ($36.99). King Estate is the largest, or one of the largest wineries in Oregon, but that doesn’t mean poor quality. They produce very good Pinot Noir and Pinot Gris. They use organic and sustainable farming methods. Their Pinot Noir had light aromas of vanilla, red cherries and eucalyptus. Medium minus body with a light mouth feel. Raspberries, some tea leaves flavours, with spice showing up mid palate. 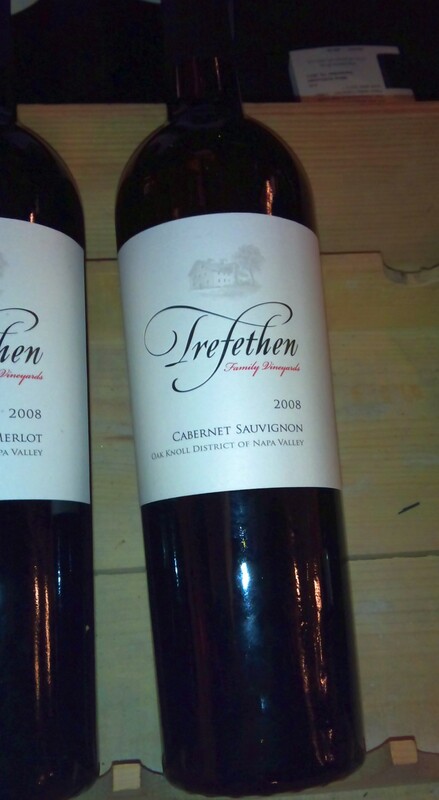 A quality wine! Haywire Pinot Noir 2010, BC. Light garnet in the glass. Orange pekoe tea, nutmeg, violets, and raspberry aromas with a bit of match stick later on. Quite a complex nose. Round, dry with red cherries, red berries, violets, some sweet spices and a streak of minerality. Medium length. Subtle tannins, which pick up on the finish. Excellent. Carmen Pinot Noir Reserva, 2010, Chile ($18) – Violet aromas. Cinnamon, violet, vanilla and cherry flavours. Light body, low tannins. Very tasty. 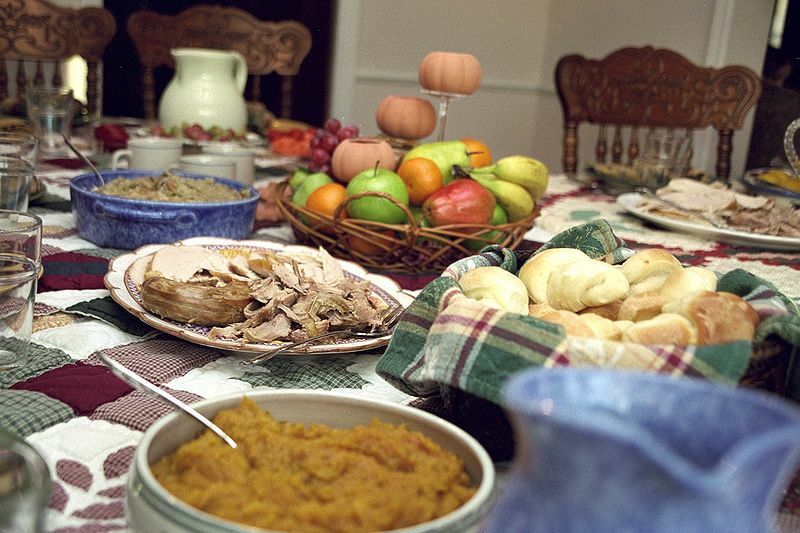 I wish you many happy Thanksgiving with your family now and in the future. Cheers! The largest and most well-known winery from Chile in my opinion is Viña Concha y Toro. 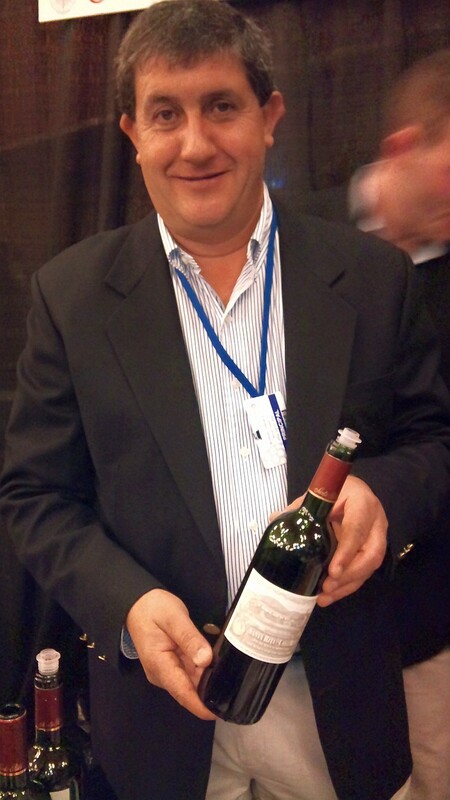 This winery has been recognized by many wine publications and has 15 awards as “Winery of the Year” in Wine & Spirits. They are also acknowledged as “Second most powerful wine brand in the world” according to The Power 100 survey by Intangible business. Concha y Toro does not rest on their past, but still strives to produce wines of extraordinary expression of contemporary Chile. One iconic wine in particular is particularly nurtured each vintage, “Don Melchor“, led by top wine maker, Enrique Tirado, to produce this wine. With great anticipation, as part of the Vancouver Playhouse International Wine Festival, I arrived at the door of the Blue Water Cafe in Yaletown to sample the carefully crafted and paired coastal cuisine of Executive Chef Frank Pabst with Concha y Toro’s wines. Leading the tasting is Isabel Guilisasti Gana, the Marketing Director Origin Wines for Concha y Toro and wine maker Tamara Baeremaecker. The Guilisasti family has a long history in Chile and in the wine trade. Isabel Guilisasti joined Concha y Toro in 2000. As marketing manager, she is responsible for Concha y Toro’s ultra premium and super premium brands.Tamara joined Concha y Toro in 1998 after receiving her degree in oenology from the Universidad Catolica de Chile. 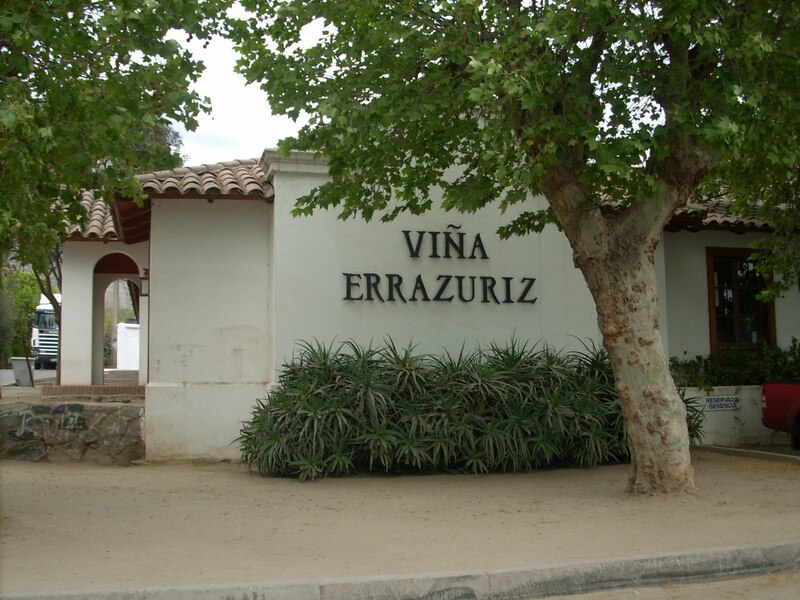 She has worked on many of their premium-brand wines and in 2006 became part of the Don Melchor wine making team. Our private tasting room at the Blue Water Cafe was laid out as two long table, with each person getting a name card for their particular seat. It was quite interesting. Some of the people I sat with were other media, but I also sat with people who were there as they love Chilean wine and Blue Water Cafe. I had fun chatting with everyone around me. Pan seared scallop with fennel basil slaw and kumquat ginger puree, Grilled prawn with garlic and rosemary, mango salsa and avocado, and Smoked Stellar Bayer oyster in brick leaf with white onion grape soubise and toasted hazelnuts. 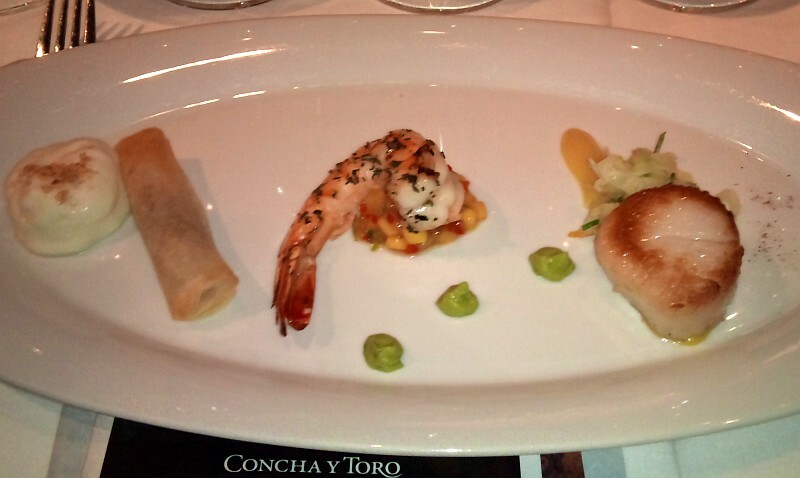 These 3 seafood morsels was paired with Concha y Toro’s Marques de Casa Concha Chardonnay 2009 from the Limari Valley. I thought the pairing of each seafood, with their own unique flavours and textures, all paired very well with the Chardonnay. The Chardonnay was medium lemon in colour. A very fruity tropical fruit nose with some vanilla too. Medium plus body with high acidity leaving a prickle on your tongue, but it still had some roundness to it. Full of tropical fruit flavours with vanilla on the finish. The higher acidity from the wine comes from the cooler coastal Limari Valley. The scallop was very fresh, seared lightly on the outside and tasted very nice with the citrusy flavour of the kumquat and the fennel flavour of the slaw. The latin-spiced, grilled prawn with the mango salsa and avocado were nicely complemented by the tropical fruit flavours of the Chardonnay. 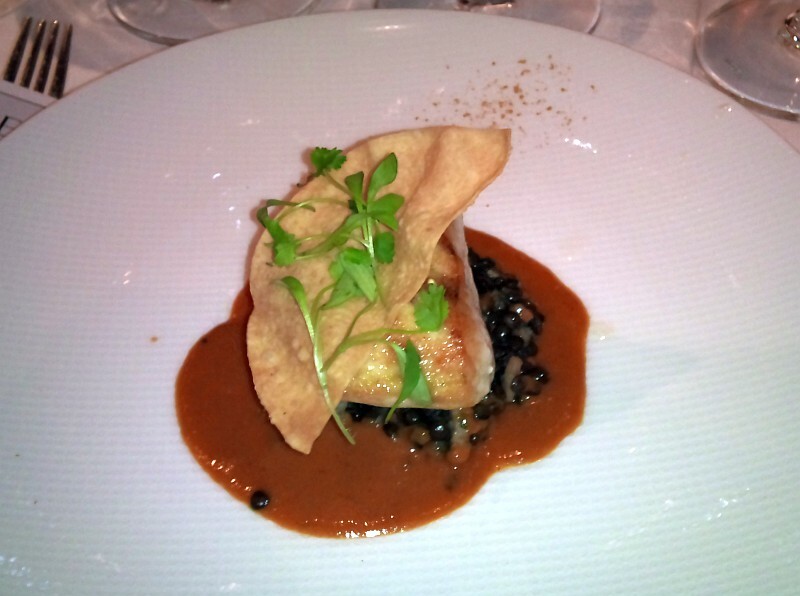 Farmed white Sechelt sturgeon with beluga lentils and Berkshire pork cheeks with a mild Madras curry tomato sauce. This was paired with the Marques de Casa Concha Carmenere Peumo vineyard 2009 from the Rapel Valley. The Carmenere was deep ruby in the glass with a bright rim. Dark fruit, vanilla and very slight capsicum aromas. Very ripe plums, quite spicy with black pepper on the palate. Round and full bodied up front and then lightens up mid-palate. The sturgeon was soft with fine texture. The lentils added an earthiness to the dish and the light curry tied the two elements together. The curry flavour also made a red berry flavour come out of the Carmenere. Another great pairing. Marinated bison flat iron steak, grilled and served with cassava root gnocchi, sauteed salsify, eggplant caviar with oregano, and chimichurri sauce. Our pairing was the Don Melchor Cabernet Sauvignon 2008, Puente Alto-Maipo Valley. 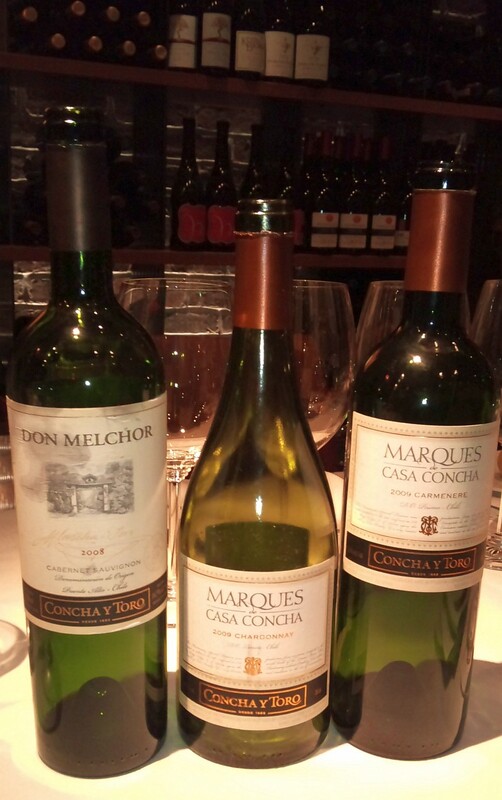 This was the youngest Don Melchor in our mini-vertical that Concha y Toro provided to us. Don Melchor, Chile’s first ultra-premium wine is the only one with 21 vintages to its credit that are prize winning and known by wine critic around the world. Don Melchor is produced from the Cabernet Sauvignon grape from the Puente Alto vineyard in the Alto Maipo Valley near Santiago. 2008 was a cooler vintage for this wine and it was more restrained than the 2007 vintage. The 2008 Don Melchor was opaque ruby. Light red cherries, some stemminess and cassis aromas. Full body. Very spicy mid palate with ripe plums and cherry flavours. Dry with some minerality. As this wine breathed in the glass the cassis flavour became more prominent. Still a young, tight wine, but one that you could enjoy now, or in another 10 or 20 years. The Bison Churrasco was a wow dish for me. It was soft, medium rare. 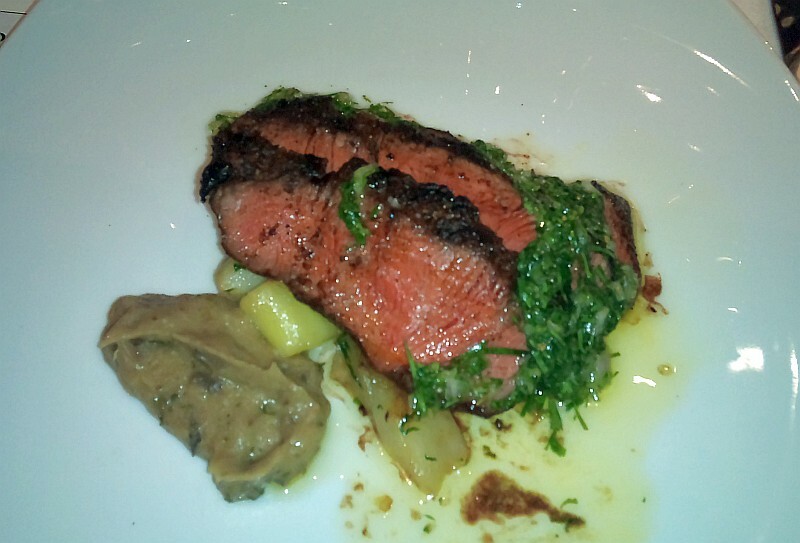 The Chimichurri sauce with olive oil, parsley, cilantro, salt, and garlic flavours really enhanced the bison flavour. Red wine loves protein and this held true for the Don Melchor and the bison. In addition the chimichurri sauce I think helped to tone down the spiciness of the wine. Wagyu beef shortrib braised with merken spice and espresso, sauteed portobello mushroom whipped potatoes, green beans, and braising juices reduced with tamarind. To this we had 2 Don Melchor wines. A 2007 and a 1995 vintage. The Don Melchor 2007 came from a warmer vintage than the 2008 vintage and you could smell and taste the more opulence of this wine. It had lots of plum, vanilla and capsicum on the nose. Very silky mouthfeel. Peppery round and dry on the palate, with black cherries cassis and oak flavours, and vanilla on the finish. A very nice wine. The Don Melchor 1995 is now 17 years old. You would expect the colour and fruit flavours to have diminished, which they have to some extent. The wine has changed to a medium plus garnet colour with very slight bricking on the rim. The aromas are more complex with capsicum, chocolate and dark fruit aromas. Soft, medium body in your mouth. Pencil leads and dark fruit flavour with higher acidity. A very balanced, complex wine. If you have never had Wagyu beef, you should try it. It is so soft and so buttery rich. 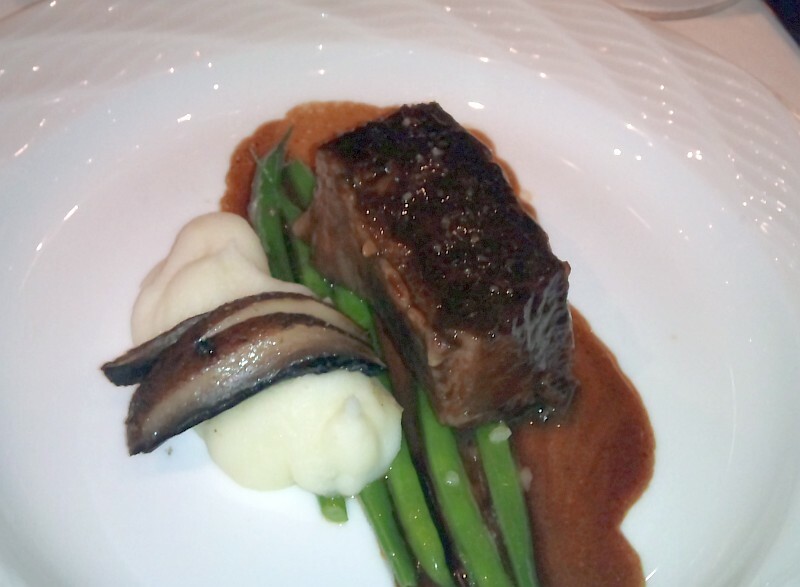 The shortrib was cooked to perfection wit the beef falling apart easily. I think the Wagyu beef with the big braised flavours with the espresso needed a full bodied wine, and the 2007 Don Melchor fit the bill. The fruit from this wine paired with the strong flavours of the beef. The 1995 Don Melchor to me is not as fruity, with more complex aromas and flavours. It was not quite as good to me with the Wagyu beef, but I would have loved a plate of cheeses to try with it and savour them both together. 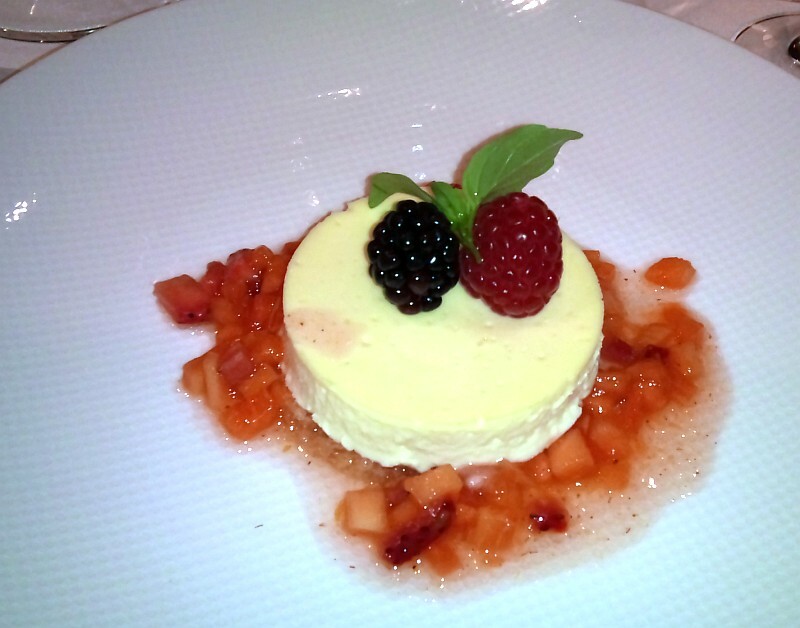 Kalamansi honey cheese cake with papaya and strawberry salsa. Paired with Late Harvest Sauvignon Blanc 2008 from the Maule Valley. The Late Harvest Sauvignon Blanc 2008 was pear skin in colour. Honey and peach aromas. Medium body with honey, spice, peaches, apples and flowers flavours. Medium sweetness. I think this wine paired nicely with the Kalamansi citrus from the cheese cake and the peachy fruit from the wine. If you have never been to Blue Water Cafe, I hope this review of the food and wine pairing convinces you to enjoy a lunch or dinner with them. Executive Chef Frank Pabst is recognized for his creative flair and his dedication towards responsible seafood practices. He has worked in Michelin-starred restaurants throughout Germany and France. 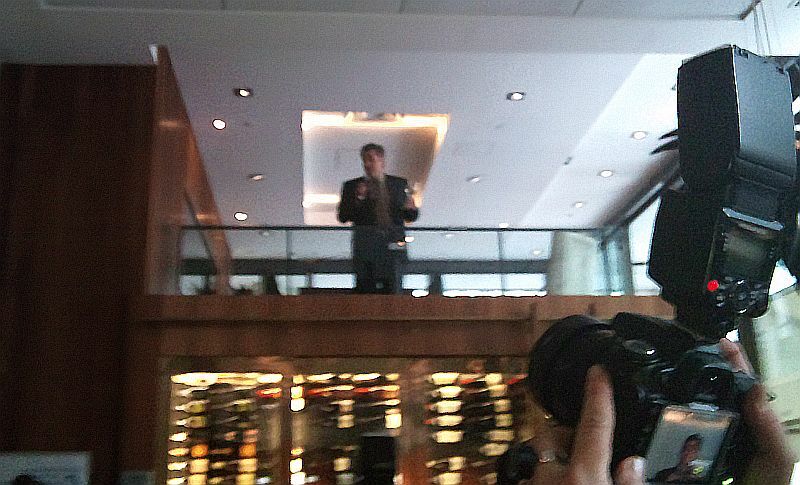 In 2010 he was recognized by Vancouver Magazine as “Chef of the Year” and inducted into the BC Restaurant Hall of Fame. Quite an achievement. I really enjoyed this dinner. All the food and wine were paired wonderfully by the Blue Water Cafe. I look forward to the next time I sit down and enjoy dinner with friends there.